Dot Davis previously served as Co-CEO of Eckert Seamans. She concentrates her practice on commercial, business, and real estate transactions and litigation in both individual cases and class actions. Dot serves as chair of the Financial Services Litigation practice and is a member of the firm’s Executive Committee and Board of Directors. Her broad litigation and counseling experience enables her to bring a unique and practical problem solving perspective to a range of legal challenges and opportunities. 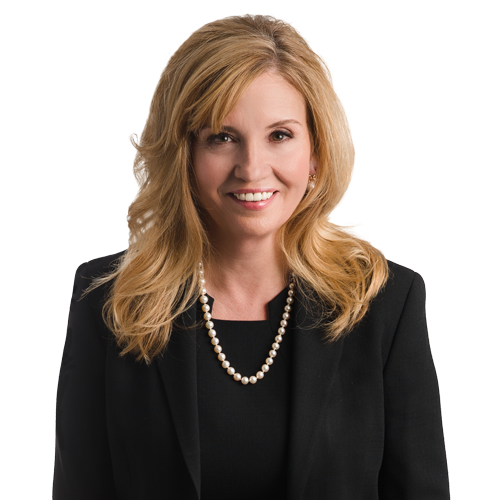 She has represented clients regarding consumer fraud and FTC statutes, RESPA, Truth-in-Lending Act, Fair Credit Reporting Act, Fair Debt Collection Practices Act, U.C.C. Article 3 and 4, loan servicing, contested foreclosures, predatory lending, Retail Installment Sales Act, Consumer Sales Practices Act, coal, oil and gas, and fiduciary duty, corporate governance and estate claims in state and federal courts, bankruptcy courts, and mediations and arbitrations. Prior to private practice, Dot was an attorney with United States Steel Corporation representing its corporate finance group, realty division, energy, purchasing, and transportation departments, and the Bessemer and Lake Erie Railroad and its 13 consolidated railroads and dock companies. Counsel for nationwide financial institutions and servicers in lender liability, contested foreclosures and bankruptcy litigation. Counsel in class action securities fraud, electronic funds transfer, consumer finance, antitrust, insurance coverage and toxic tort litigation. Counsel in litigation involving oil and gas rights including Marcellus Shale. Counsel in multi-billion dollar corporate control litigation. Counsel in a successful $75 million minority shareholder litigation. National coordinating counsel for litigation, claims, and warranties for an international roof manufacturer throughout the United States. Counsel for a $32 million divestiture of the assets of a metal and fiberglass reinforced grading product division of a publicly-held corporation. Counsel to high net worth individuals and their families and private entities in real estate development transactions, litigation, family foundation, and trust issues, and the acquisition and divestiture of private companies. Counsels and litigates in the areas of corporate governance, fiduciary duty, lender liability, mortgage backed securitizations, real estate, leasing, consumer finance, fair credit reporting, bankruptcy, contested foreclosures, contracts, professional liability defense, insurance coverage, risk allocation and loss prevention, collections and workouts, toxic tort, wage and restrictive covenants, trademark, advertising and FTC compliance, construction, and transportation. “Law firm Eckert Seamans names first woman to CEO post,” Pittsburgh Post-Gazette, April 14, 2017. “Negotiating an Oil and Gas Lease,” CONSOL Land Super School III, October 8, 2013. “Essential Leadership Qualities,” panelist, National Diversity & Leadership Conference, September 2013. “Oil and Gas Litigation,” CONSOL Energy Land Super School, March 26, 2012. “Litigating in Orphans’ Court,” Pennsylvania Bar Institute, 2003 and 2006.